Inspirational: Shaped cards - pure joy...by Peet! Shaped cards - pure joy...by Peet! 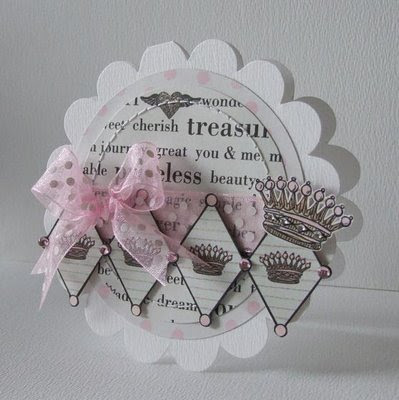 I know Peet at Scrapalbum was featured on Inspirational last August, but how could I not show these incredible shaped cards that she has created recently. They are just way too good to miss. From crowns to circles to stunning stars Peet's creations just blow your socks off with their incredible style. I have just picked out one or two of my favourites, but you must visit Peet's blog Scrapalbum to check out her amazing work. They are all wonderful I especially love the rock star one...... racing to Peet's blog now !! They are wonderful, I know Peet's work and there isn't any single creation which I don't like, I just love all of them!